In ancient times the Hadramawt – a chain of oases in the desert far from the mountainous part of Yemen, itself part of a highland – was a kingdom alongside Saba. Unlike Saba, however, Hadrami culture persisted through the centuries, as the oases helped sustain life. The people of the Hadramawt have remained largely independent of the rest of Yemen. The region is a more or less self-supporting and self-governing island in the eastern desert of Yemen. However, many Hadramis have emigrated throughout history, because the area offered little room for expansion. Hadrami emigration, which for centuries went hand in hand with sea trade, was at its height during the 18th and 19th centuries, when many Hadramis settled in India, Malaysia, Singapore, and, especially, in what became the Dutch Indies and later Indonesia. The diaspora has maintained strong ties with its homeland. Some Hadramis still send their sons and daughters to the Hadramawt for their education and to marry. They continue to contribute to the impressive array of knowledge in Hadrami libraries and centres of learning. The Hadrami diaspora also continued financial support for the homeland, from as far away as the Indonesian archipelago. The Hadramis were instrumental in the early spread of Islam, just as the traders of the European trading companies were instrumental in the spread of Christianity. 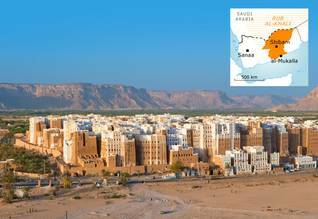 During the past half-century, Hadramis have migrated to the Gulf and Saudi Arabia. Osama bin Laden’s father came from Wadi Doan, in the Hadramawt.